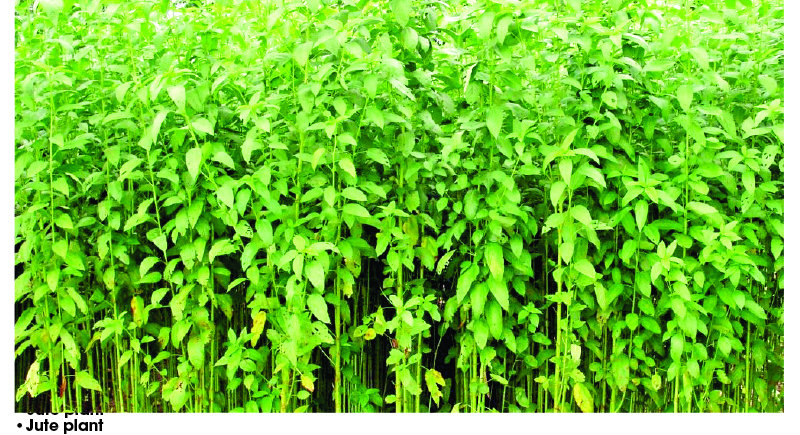 In these days of clamouring for a shift from animal protein to plant protein, vegetables with high protein content like jute leaf are saving the day. This makes increased cultivation of such vegetables imperative. Jute leaf or saluyot, a popular vegetable in Africa and South East Asia, is called ewedu among the Yorubas of Western Nigeria, ayoyo in Hausa and ahihiara among the Igbos. It serves the dual purpose of being a vegetable as well as a medicine. Apart from its nutritional and medicinal benefits, jute fibres are also used for handicrafts like bags, ropes, hats, mats and foot wears, among others. Commercially, jute farming, according to a stakeholder, is very lucrative and can become bigger than most white collar jobs, if taken seriously. He said an acre of jute leaf can generate N500,000 in profit. Health/medicinal benefits of jute vegetable: Jute plant is rich in phosphorus, calcium, potassium, magnesium and iron. It contains sufficient amount of Vitamin A, K, riboflavin, ascorbic acid, thiamine, protein and fibre, a safe food for pregnant mothers and those recovering from illnesses. Being rich in fibre, regular intake of the vegetable helps to control cholesterol build up, blood pressure and diabetes. It also helps to lower the risk of having cancer or asthma and it is also good for the heart because it prevents heart disease. Jute equally treats various digestive issues like stomach ache, dysentery, diarrhoea, ulcers and constipation. This wonder vegetable helps to fight acne, prevents the occurrence of skin cancer and helps to reduce wrinkles. It is also essential in hair health and aids in the reduction of skin inflammation as well as acting as an anti-ageing agent. Land preparation: Jute, an annual plant or shrub that grows up to 2 meters high, is often grown near riverbanks and waste places. Cold weather and severe periods of drought can kill it. A well-drained and sandy loam soil with plenty of organic matter is ideal. This plant can survive easily without much attention and care. Thorough land preparation is necessary for good growth and to minimise the cost of weeding. Plough and harrow the field to soften the soil if bumper harvest is expected and make small ridges. Planting: Before planting, the seeds should be parboiled for quick germination. If not, they could take months before germinating, which will defeat the purpose of planting it when intended. After softening the ground with hoe, spread the seeds on the surfaces or drill them uniformly 4-5 inches apart in furrows and cover them with things like palm branches or other things that can shield them from being picked by birds or local fowls. A derica cup of dried jute seeds sells for between N600 and N800. For a plot of land, three derica cups would do. For best return on investments, the best periods to plant are from late September to early January before the rain starts, which would make it cheap as it is usually found everywhere in the rainy season thus bringing the prices to the lowest minimum. For instance, the quantity sold for N50 in the rainy season could go for between N1,000 and N1,500 during the dry season. Jute responds well to added fertiliser, especially nitrogen. A combination of both inorganic and organic fertilisers improves yield and maintains soil fertility. The rate of fertiliser application depends on soil fertility, soil type, fertiliser recovery rate, and soil organic matter. Weed management: Weed must not be allowed to crowd or overgrow the young plants. When plants are 20-25cm tall, a wooden plow is passed between the rows to hill-up, which can help to suppress the growth of weeds. The foliage and shoot tips of jute are susceptible to damage by insects and spider mites. Nematodes cause stunting of plants. Pest damage is usually less severe in plantings that are well fertilised and rotated with other crops. Insect pests may be managed by covering beds with fine-mesh nylon netting. Pesticides are useful for controlling pests when they cause significant damage. Choose a pesticide that targets the pest and avoid pesticides that kill beneficial organisms. Choose pesticides that last only for a short period. To avoid exposing consumers to pesticide residues, follow instructions for time intervals between spraying and harvesting. Only a few diseases affect jute. Damping-off caused by Rhizoctonia, Pythium or Phytophthora spp. occurs in seedbeds. These pathogens are managed through the use of raised beds, well-drained soils, and proper watering. Stem rot (Sclerotium rolfsii) is a common disease during the dry season, causing plants to wilt. Stem rot is managed by deep ploughing, using raised beds, rotating crops, and allowing ample time for breakdown of green manure before planting. The plant is sensitive to drought. Irrigating is critical after sowing or transplanting to ensure a good stand. Harvesting: Some varieties of jute are harvested 30-60 days after planting, while some are harvested 20-40 days after planting, just before pods develop. Plants may be harvested once or several times. Once-over harvest is adapted for quick growing varieties. Whole plants (20-30cm tall) are pulled from soil with roots, washed and tied in bundles. With multiple harvests, young leaves and shoots are picked every two to three weeks. New side shoots will develop and harvesting can be repeated three or four times. Frequent harvesting delays flowering and prolongs the harvest period. Harvest during the cooler time of day, such as early morning or late afternoon, and keep the produce cool and shaded. Post-harvest handling: Jute wilts rapidly, common practice in markets and shops is to sprinkle with water to keep its fresh appearance. If uprooted, the vegetable can be kept fresh for some days by putting it into a basin with the roots in water.